Among the interesting things Ian makes are music (he’s got five independent albums to his credit), copious amounts of digital art (his extensive portfolio “sits at the crossroads of procedure, aesthetic and intent”) and, as eCommerce Manager of Stonewall Kitchen, a beautifully-functioning website. Ian has been blazing trails in music and the digital arts for almost two decades, and he’s been blazing new trails in commerce since he joined Stonewall Kitchen, a 25-year old specialty food producer, in late 2015. One example: offering its online customers the same level of personalized service they may get in one of its stores. Both channels carry the full gamut of Stonewall Kitchen products: salsas and syrups, preserves and pastas, beverages and baking mixes, and much more. 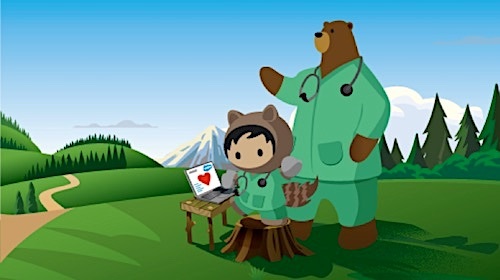 With such a diverse (and delicious) array of products, it’s important that customers not get overwhelmed, and find exactly what they are looking for quickly and easily. “Artificial intelligence is a feature we knew would be increasingly important in ecommerce,” he says. 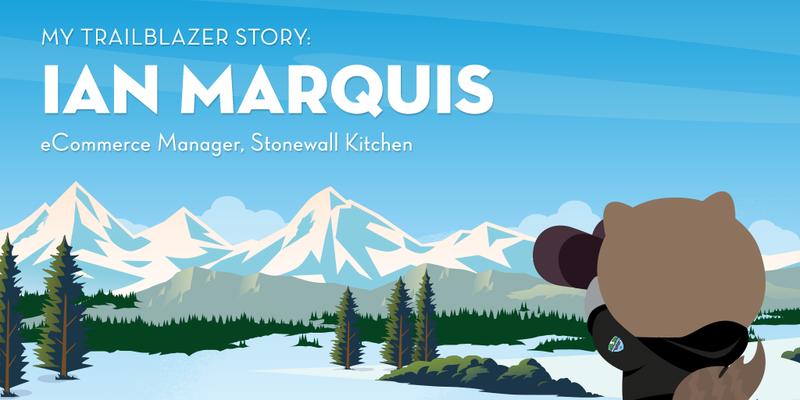 With a five-person ecommerce team, Stonewall Kitchen is able to leverage Commerce Cloud Einstein to power 1-to-1 personalization without hours of manual merchandising or segmentation — and without a data scientist. Stonewall Kitchen uses Einstein to serve as a virtual sales assistant for online shoppers, offering them unique product recommendations based on their browsing history and preferences. They use Einstein to fill gaps in the customer journey that they can’t bridge with their own expertise or manpower. For example, if a shopper hits any curated story on its website, Stonewall Kitchen leverages AI to show shoppers complementary add-ons; a breakfast story would include pancake mix, jam or a syrup. 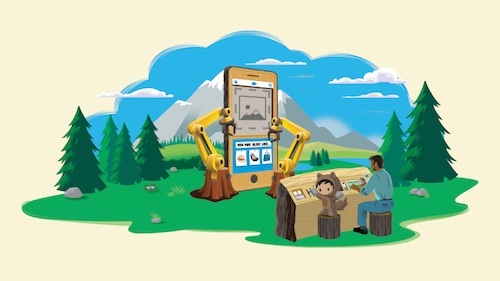 Einstein Product Recommendations influenced 14% of customer purchases during the summer of 2017, driving an average conversion rate of 44.3% and an average add-to-cart rate of 39.6%. 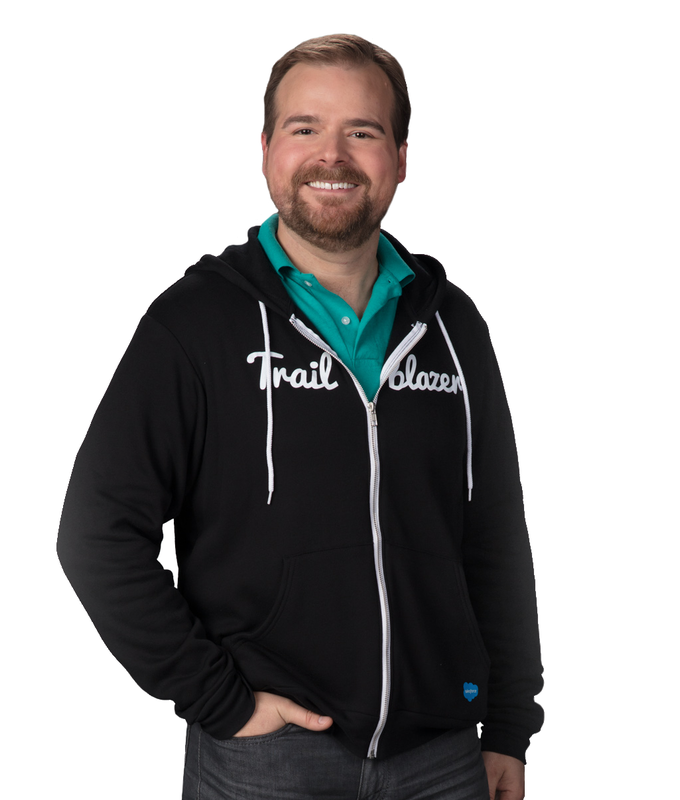 “Salesforce technology has enabled my team to be highly agile in creating incremental strategic improvements to our ecommerce experience, even as we hold down the fort with business-as-usual projects,” Ian says. There’s nothing business-as-usual about Ian’s approach to creating customer experiences online. In fact he sees it as his responsibility to create extremely nuanced, subtle experiences that render conversion virtually effortless. 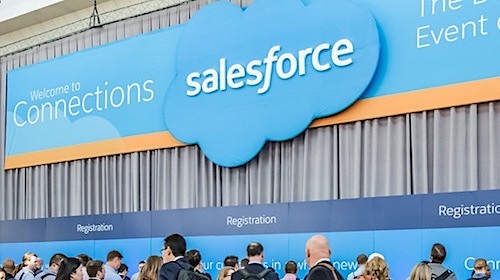 A crucial cog in that wheel is the partnership with the Salesforce Commerce Cloud and its Retail Practice team, which he says has played a “huge role” in helping the company prioritize feature improvements and experience iterations, benchmark its performance against best practices and Salesforce customers as a whole, and much more. At the heart of it all, Ian says, is practical but beautiful design, a completely holistic approach to customer engagement – and inspiration. Ian and Stonewall Kitchen were featured in our recent report, Personalization in Shopping. Download it today.